I walked down the streets of London alone. I was a demon, and at the time a master less demon at that. I am the most powerful demon there is in fact. I have abilities other demons may not have, for example, let&apos;s say I met another demon; I could hide my true identity and trick them into thinking I&apos;m a helpless human. This is where I pick up where I left off. I was walking down the streets of London, the date was Decmeber 25, 1886. It was 12:08 A.M. at the time and by this time, I would usually be serving guest at one of my masters balls. Humans would gather and eat feasts and exchange gifts. I don&apos;t really know why they do this, isn&apos;t it some guy&apos;s birthday?- I don&apos;t know but all I know is I&apos;ll be spending this new year alone. 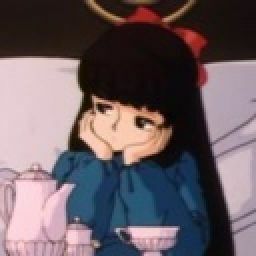 Having a master started off as just being a way to pass the time, but now it&apos;s just boring, doing the same thing over and over again. As I walked down the dark streets, the lights shined brightly, and the decorations hung everywhere seems a little bit more beautiful. I thought to myself as I walked, obviously not paying attention to where I was going, resulting in me bumping into something. I looked down to see a boy around my age, blue-grey hair, and gorgeous blue eyes. &apos;Oh so he is just another one of those rich brats..." I thought to myself thinking of a way to reply. "Sorry sir, but I don&apos;t have time to be pushed around by some rich brat. I have somewhere to be," I lied and smirked at the redness and the angry expression painted on his face. "I&apos;m not just another rich brat! 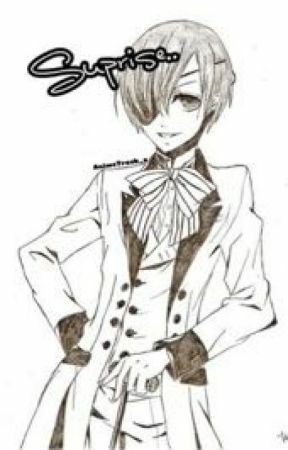 I am Ciel Phantomhive and if you call me a brat again I&apos;ll have you killed." I smirked, and said, "Brat," while turning and walking away.